Steel your nerves and prepare yourself for battle as you don the Richard Oiled Flat Ring Chainmail Hauberk over a padded gambeson. 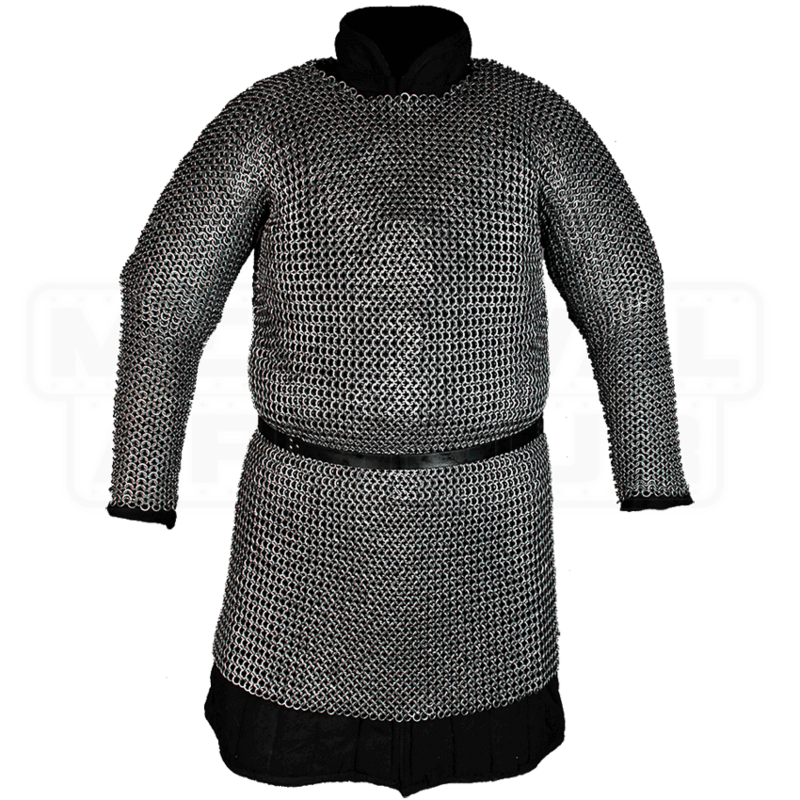 This steel chainmail tunic is made up of flattened rings woven in a traditional 4-in-1 pattern. 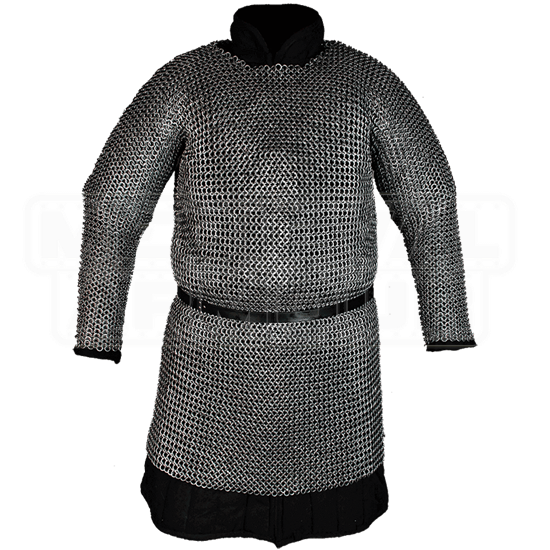 With its full length sleeves and tunic length that falls to about the knees on most wearers, this chainmail armour provides great coverage and protection. The flat ring hauberk is shown over a padded gambeson, which is recommended for best safety and comfort. Cinch the waist with a belt, as shown but sold separately, to help distribute its weight. Ideal for many medieval inspired characters or fantasy warriors, this steel hauberk is a must-have addition to any armoured look. Great for LARP or costume use, wear the Richard Oiled Flat Ring Chainmail Hauberk to your next live action roleplay event, or let its comprehensive design impress at your next costume-worthy event.